At least the drug deals Wall Street is suddenly hooked on are legal. The latest is Pfizer's (PFE) bid to buy U.K.-based AstraZeneca (AZN) for an eye-popping $100 billion. The proposed deal, which so far has been snubbed by the British drug maker, would be the second biggest health care buyout on record, according to Dealogic. It's getting difficult to keep track of all the suitors, proposals and marriages going on in the health industry. Even without the potential Pfizer-AstraZeneca union, health care merger and acquisition activity is already humming along at the fastest pace on record. 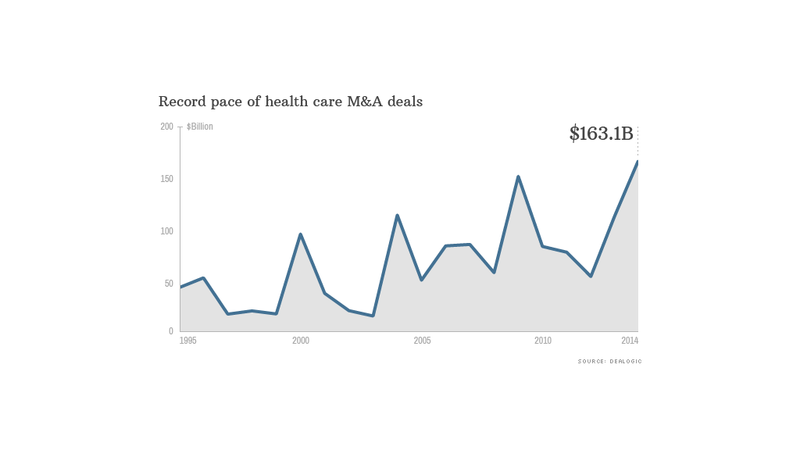 About $163 billion worth of health care deals have been proposed so far this year. That's up almost 50% from last year and 211% above the post-financial crisis low of $53 billion in 2012, Dealogic stats show. The buying spree in the pharmaceutical world is being driven by low interest rates that make it cheaper to borrow money and swollen corporate treasure chests. Many companies have a lot of cash on hand. There are also ongoing pushes for firms to expand their drug pipelines as patents expire and competition heats up. 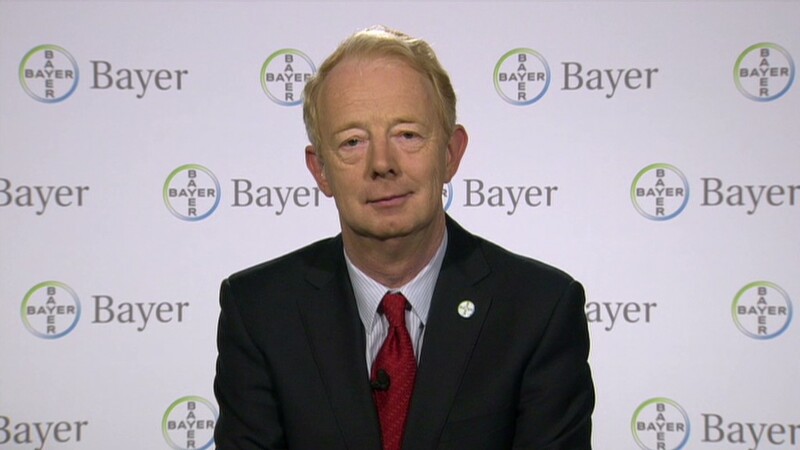 Bayer (BAYRY) CEO Marijn Dekkers told CNN International that while his company remains focused on organic growth, "If the right opportunity comes along, we'll definitely take a very good look at it." There have been a number of high profile deals in recent days, including Bill Ackman coaxing Valeant Pharmaceuticals (VRX) to offer a $46 billion buyout of Botox maker Allergan (AGN) and a $20 billion deal between Novartis (NVS) and GlaxoSmithKline (GLAXF). Overall global merger and acquisition activity is surging this year. It has totaled more than $1 trillion so far in 2014, a brisk 41% improvement from the same period of last year and the fastest pace since 2007, according to Dealogic. Interestingly, the number of global deals has declined slightly, while the average deal size has soared 53% to about just over $100 million, Dealogic stats show. But health care deal making is popping even faster than the broader market, and the AstraZeneca situation would make it an even larger year. That would represent the biggest deal for the health care sector since Warner-Lambert was purchased for $112 billion in 2000. Guess which drug giant was behind that mega deal? None other than Pfizer.